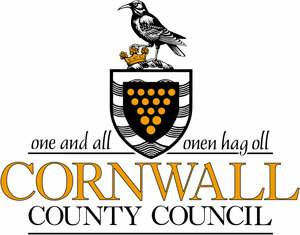 Cornwall’s distinct identity sets it apart from other English counties; its unique language, legendary history and breathtaking beaches have beguiled visitors for centuries. In equal parts rugged and refined, the region is home to a craggy coastline and tales of smugglers galore, as well as world-renowned art schools, neat vineyards and magical sculpted gardens. 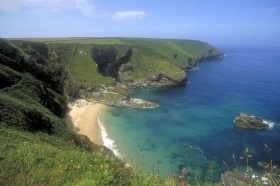 Cornwall’s epic landscapes border on the divine – and they certainly inspired John Wesley, the founder of Methodism who had a penchant for preaching outdoors. After a short mission to Savannah, Georgia from 1735 to 1737, during which time he published America’s first hymn book, Wesley returned to England. Gwennap Pit in Redruth was the site of many of his al-fresco teachings, due to its remarkable acoustics. Wesley Cottage on Bodmin Moor was built especially for him and today features small displays dedicated to his story. The mining boom of the 19th and 20th centuries transformed not only the landscape of Cornwall, but America too. 250,000 Cornish miners moved to the USA during this period, taking their mining skills and knowledge with them. 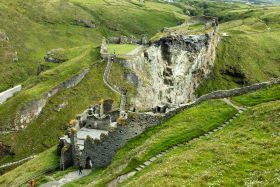 A collection of historic landmarks, including tin and copper mines, old engine houses and working ports make up the UK’s largest Unesco World Heritage Site. Take an underground tour at Poldark Mine; witness demonstrations of rare, historic mining equipment at King Edward Mine; or take in the dramatic view of cliffside submarine mine, Botallack – a filming location for the acclaimed BBC series, Poldark. 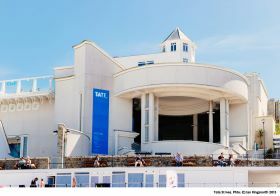 Browse even more memorabilia at the Royal Cornwall Museum. 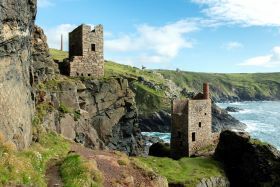 The old copper mine of Levant on the north Cornish coast. 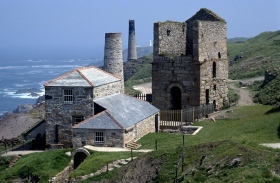 Levant Mine, Cape Cornwall, Cornwall, England. The southwest saw a huge influx of North American soldiers and sailors during World War II. Learn about the battles fought by the Duke of Cornwall’s men at Cornwall’s Regimental Museum. Curious visitors will also find exhibits on the US War of Independence as well as the Masonic Bible used when George Washington was sworn into the Masonic Lodge. Cornwall is the UK’s top surfing spot. Take your pick of the region’s spectacular beaches and get splashing; Polzeath and Sennen Cove are great spots for beginners. 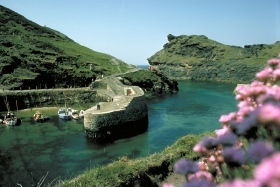 For outdoor adventures on dry land, tackle a portion of the South West Coast Path; the 630-mile stretch of national trail passes numerous coastal landmarks including the ruins of Tintagel Castle (linked to the legendary King Arthur), the Tate St Ives gallery and St Michael’s Mount. 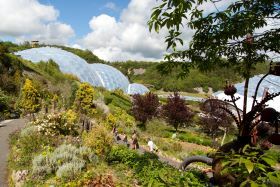 Green-fingered visitors will enjoy the Eden Project, a sprawling collection of striking domes housing tropical and Mediterranean plants, plus an outdoor botanical garden showcasing native flora. 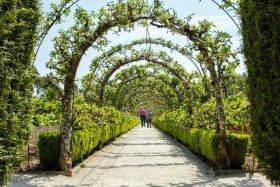 The Lost Gardens of Heligan, established in the 19th century, were rediscovered in the 1990s and restored to their former glory. American soldiers used Heligan House as a base in the Second World War. The Cornish pasty is a regional classic, beloved nationwide. There are countless bakeries serving up the traditional savoury snack – a crimped puff-pastry pocket filled with beef and root vegetables – or you could opt to make your own at Charlie Choak’s pasty school. Alternatively, the local seafood is abundant and fresh – over 10,000 tonnes and 53 different species of fish are landed at Newlyn each year, making it onto the plates of diners around the county and beyond; sample some of the best at one of Rick Stein’s local restaurants. The peninsula is also known for its rich clotted cream, best enjoyed with jam on a scone or dolloped onto Cornish ice cream and eaten by the sea. Wash it all down with a pint of beer at St Austell Brewery, or learn more about their 160-year-old brewing techniques (while sampling multiple brews) on their interactive Brewing Experience. Looking for something sweeter? Local cider and wine is lip-smackingly good – try the award-winning tipples at Polgoon Winery and Orchard in Penzance. Boats moored in the harbour, Boscastle, Cornwall, England. Lanhydrock gardens Nr. 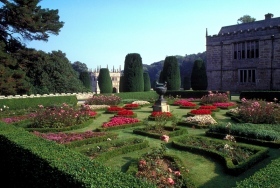 Bodmin, Lanhydrock, Cornwall, England. Coastline, Fisherman's Cove, Cornwall, England. 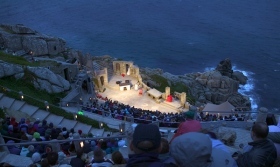 Actors give a night performance at the Minack Theatre in front of an appreciative audience. Minack Theatre, Cornwall, England. 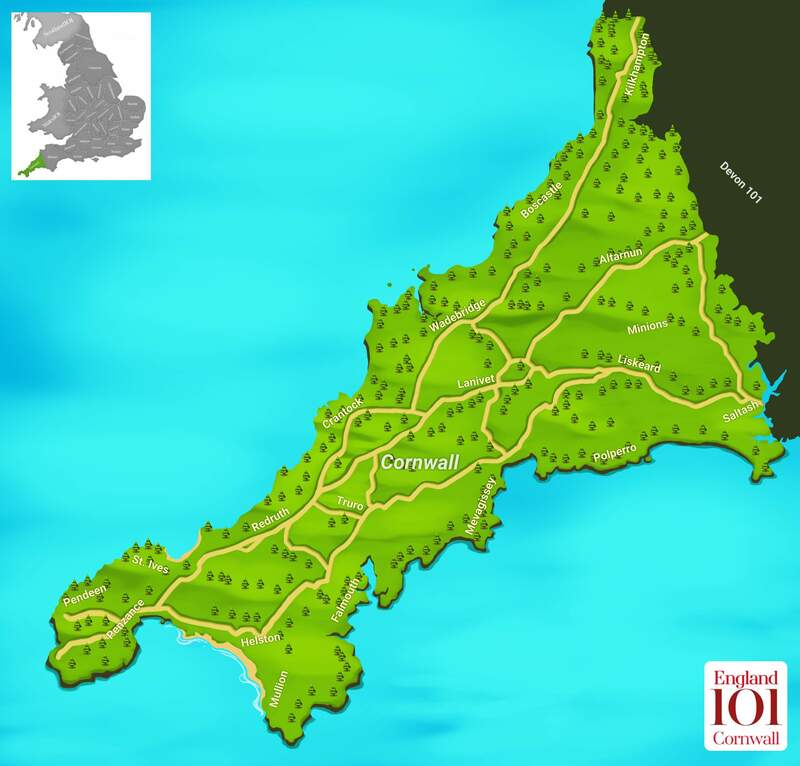 How much do you know about Cornwall ?